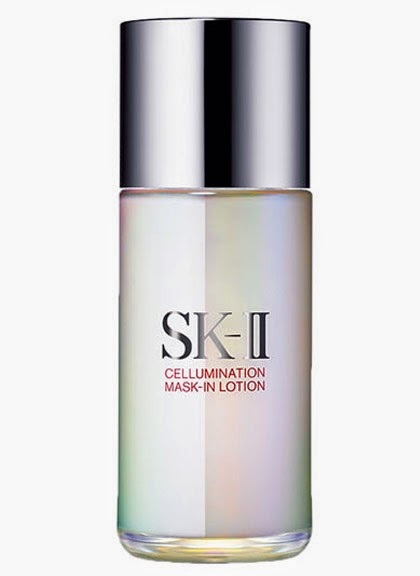 Fashionistas Daily .Com: SK-II Cellumination Mask-In Lotion is Luminosity in the bottle! 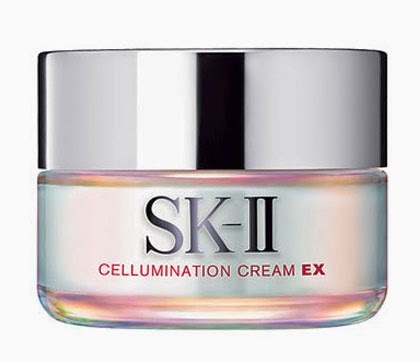 SK-II Cellumination Mask-In Lotion is Luminosity in the bottle! I live in the beautiful California, where every day is sunny and perfect for the beach! The weather is great but the constant sun exposure has left some marks on my skin. Also because of my acne marks, it made my skin tone looks uneven and lack of luster. So I’ve been looking for some skin brightening products that will help me to get rid of the dark acne marks and make my skin tone more even looking. I recently got a bottle of the cellumination mask-in lotion, OMG! is like a "Magic" in a bottle! Many might be confused about what exactly is this for? 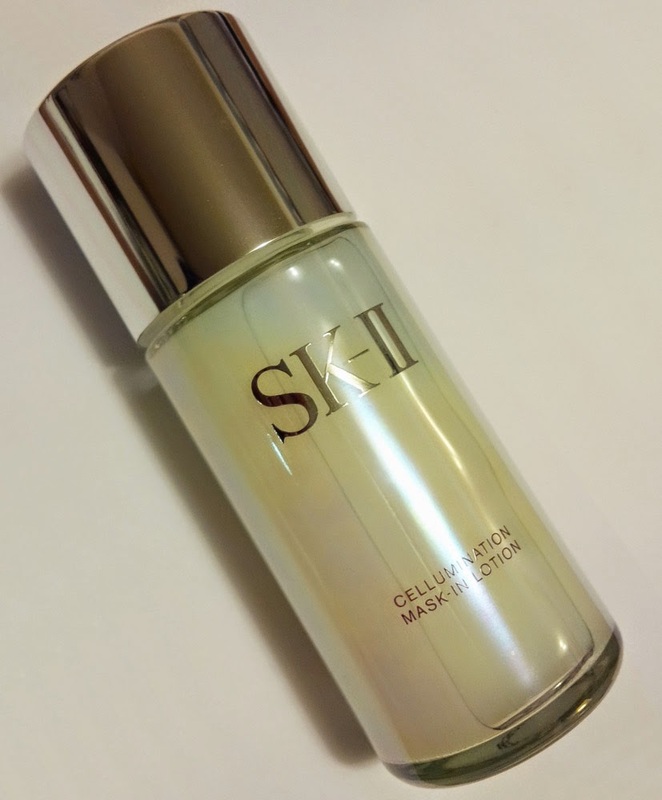 It’s light & liquid consistency makes it not really a mask (but it does offers mask-like hydration benefits) or a lotion texture kind of moisturizer… but it is a very great Toner / Softner for all skin types. The whole Cellumination collection (Cream, Mask-In Lotion & Aura Bright Essence) delivered just as they advertised! 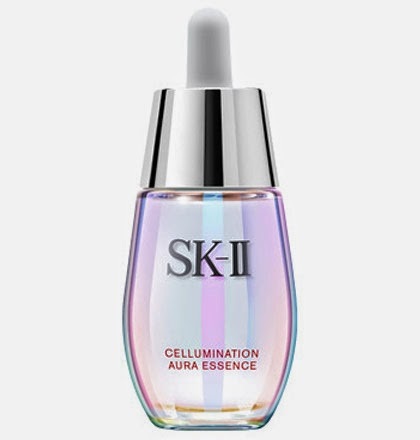 A brighter, crystal clear skin that has an “Aura” glow from within (maybe that’s why they make the bottles has this rainbow aurora borealis effect) and adding luminosity to your skin. Not like other brand’s "Whitening & Brightening" products, this cellumination mask in lotion contains a nice mix of water-binding agents, an anti-irritant, the cell-communicating & whitening brightening ingredient such as Niacinamide, and vitamin C (ascorbyl glucoside). I just used it for 1 month and already seeing a big difference! My acne scar has faded dramatically and the uneven skin tone has transformed to a more even and “brighter” shade! It hydrates and brightens my skin, just having a healthier glow to it. 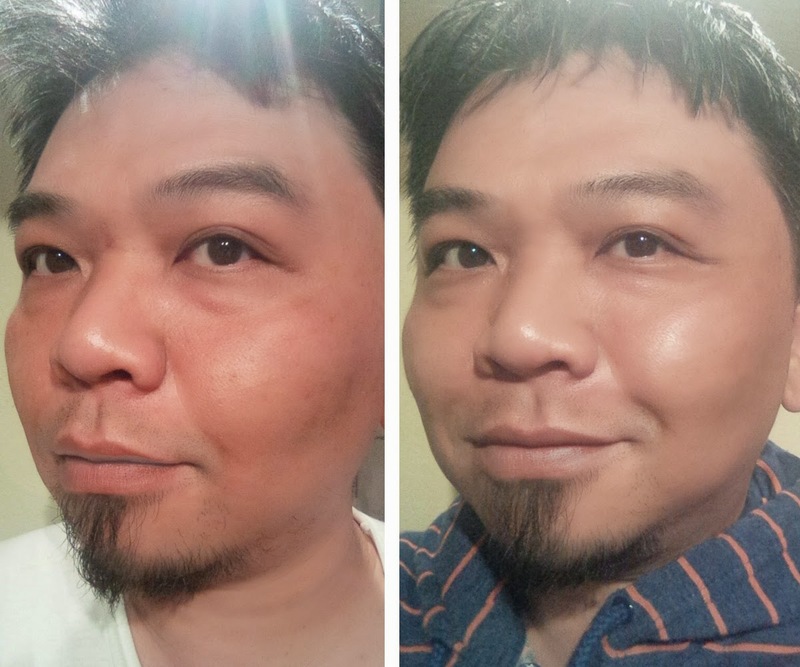 Here is my before and after photo just after 1 month uses of the Cellumination Mask-in Lotion ( I use it twice a day, morning & evening). I promise! 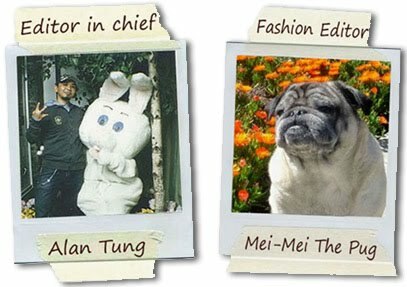 there are no photoshop effect or touch-up on the photo! Aqua (Water), Galactomyces Ferment Filtrate, Glycerin, Niacinamide (Brightening & whitening), Butylene Glycol, Pentylene Glycol, Diphenylsiloxy Phenyl Trimethicone, Glycereth-25 PCA Isostearate, Dipotassium Glycyrrhizate, Ascorbyl Glucoside (Vitamin C for brightening & whitening), Centella Asiatica Extract, Nylon-12, Sodium Hyaluronate, Saccharomyces Cerevisiae Extract, Acrylates/C10-30 Alkyl Acrylate Crosspolymer, Aminomethyl Propanol, Disodium EDTA, Xanthan Gum, Benzyl Alcohol, Sodium Benzoate, Phenoxyethanol, Methylparaben, Parfum (Fragrance). I highly recommend the Cellumination mask-in lotion to use as a toner. With great result like this, I am going to go buy the rest of the Cellumination collection for a complete brightening benefit.